At the LA Injury Group, our accident attorney in Los Angeles team will do everything we can to help you win your case. With years of experience on our staff, we’ll do everything in our power to make sure that you get what you’re owed. With access to the best investigators, we can make sure that they examine your accident site to find out exactly what happened. Then, we can use that to make your case all that much more compelling. Most people want to know: “how can I help my case?” These are a few tips we’ve put together that can help you to make your case even better. There are so many reasons that you might hire an accident attorney in Los Angeles. One of the more overlooked (but important ones) is for your own peace of mind. After an accident, you have to recover from everything you’ve been through. For some, this will mean missing a few days of work. For others, unfortunately, it could mean months or longer laid up in a hospital, rehab, and so forth. So, when you have to deal with all of that, you don’t have time nor the experience to deal with taking on your own case. That’s what we’re here for. That being said, when you’ve been hurt in an accident, there are things you can do to make your own case that much more compelling and better. The regular person hasn’t been seriously injured in an accident; so naturally, they tend to make small mistakes that lead to greater problems over time. This is perfectly understandable – it’s not like this is the kind of thing that gets taught in school. We put together these tips so that, should the worst happen and you’re hurt in a crash, you don’t make the kind of seemingly tiny mistake that gives the insurance company exactly what they’re looking for: a way to give you less money than you’re owed. An important thing to mention at the top of this here is that, when you’ve been in an accident, no matter where it was, or the circumstance, it’s in your best interests to call the police. For many, this is counterintuitive. But, in the long run, you’re going to want to have called the police right after the accident. This can be advantageous to you in multiple ways. Remember: you want to do this whether you were in a car accident, motorcycle accident, or you slipped and fell in a store – whenever you’re hurt in an accident, it’s a good idea to call the police. “But,” we’ve been told many times by people when we bring this up, “what if it’s a small thing? Is it really necessary to call the police?” That gets said in fender benders and the like seemingly every day. Yes, even if it’s a small thing, a tiny accident, a fender bender, something like that – it’s still a good idea to call the police. Everyone knows to call the police if it’s been a big, terrible accident where several people are seriously hurt, but it’s still a good idea to call the police even if it’s a smaller accident where you seemingly weren’t hurt too badly. Of course, the keyword to the previous sentence is “seemingly.” When you’ve just been hurt in an accident, you don’t know how badly you were hurt. Hopefully, you weren’t hurt at all. Hopefully, you’re 100% OK and you’ll walk away from your accident no worse for wear and everything is fine. Unfortunately, that rarely happens. For many people who aren’t hurt in an accident in the immediate aftermath, they do develop injuries later on. And those injuries they develop are serious as well as directly coming from the accident. Say that happens to you: you weren’t hurt at the moment, but you develop bad injuries later on. Moreover, you didn’t call the police at the time of the accident. So… now there’s no real evidence that the accident took place. Sure, there’s the injuries you suffered, but the other party, the party who’s responsible for your injuries, can just say: “it never happened.” There’s no evidence that it took place. When you call the police, they have to make a police report. That report says exactly what happened, namely that an accident happened. So, if you’re hurt in an accident but he injures don’t’ appear till much later, if you called the police, that report will exist. Then, should the other party say “hey, there was no accident,” the police report will say otherwise. You’ll have that protection that will keep it from being their word against yours. That way, you’re further protected. Calling the police after you’re hurt in an accident is always a good idea. ON top of that, you want to tell the police the truth about your injuries, too. 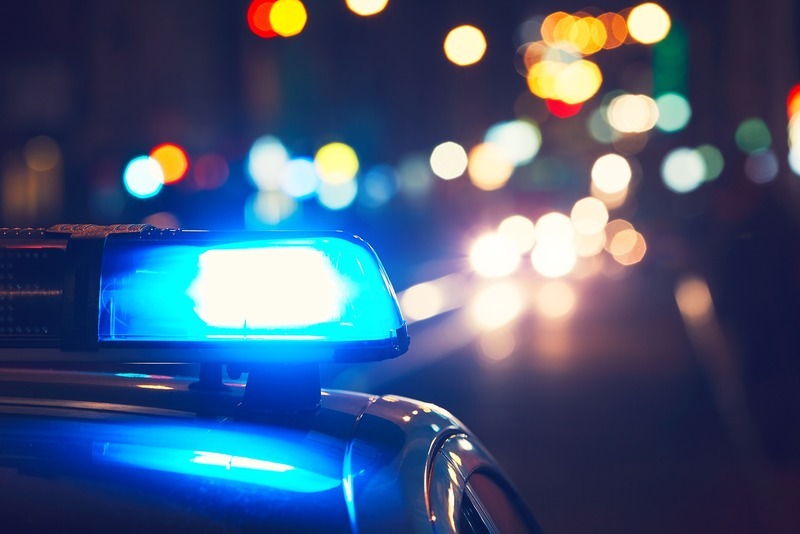 One other reason to call the police / authorities once you’ve been in an accident is that they can help to make sure that you’re given appropriate medical attention. For some people, there’s a naturally inclination towards wanting to “tough it out” after an accident. That’s completely understandable. Who wants to have to be laid up in a hospital for a while, or be forced to spend money to get some kind of medical treatment? That being said, the most important thing is your health. As we’ve mentioned previously, it’s difficult for an experienced doctor to diagnose themselves. For a regular person (particularly one who has just been through a car accident) it’s basically impossible. As ever, hopefully, your injuries are minor. Or even better, you have no injuries at all. You leave your accident unscathed, grateful that everything ended up OK. However, too often, that’s not the case. If you’re offered a ride in an ambulance or some other kind of vehicle to get medical attention, go with it. Take the ambulance ride. Again, now that you’re safe, and the accident is over, the next thing our accident attorney in Los Angeles wants you to take care of is your own health. By accepting the help of the medical professionals, you’re taking care of yourself and those who care about you. The doctors and other medical professionals are likely to ask you many questions when you’re in the hospital. They may ask you all sorts of questions about your health, your past, other injuries you may have had and so forth. As with every other step of the process, our accident attorney in Los Angeles recommends that you tell the truth. Telling a lie or being less than completely honest can only help you here. Remember: one of the most important things in any kind of injury case is your integrity. If you don’t tell the medical professionals the truth, it can be extremely hard for even the best accident attorney in Los Angeles to get you the compensation that you deserve. Say you had a back injury in your youth that left your back weakened. Your accident causes it to flare up, but you don’t mention it to the doctors who treat you. Then, when the injury case does move along, the other side is going to be able to bring that up to show that you’re untrustworthy. That may cause your genuine, debilitating injuries (that you deserve to be paid for) to be questioned or seen as exaggerations. Don’t let this happen to you. Getting started with a personal injury case isn’t easy. Here at the LA Injury Group, we try to make it as easy as we can on all of our potential clients. Schedule a no risk free consultation with us at (818)210-4558 or by going through our website.